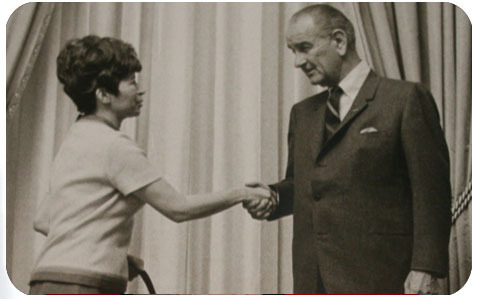 Fuentes Photographs: Sonia with President Lyndon Johnson, April 11, 1968. 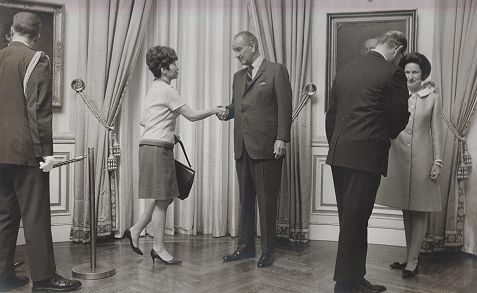 Sonia with President Lyndon Johnson, April 11, 1968. Sonia was invited to the White House when Lyndon Johnson signed the Civil Rights Act of 1968, commonly called the Fair Housing Act. The photo was taken by Frank Wolfe. Lady Bird Johnson stands nearby.